Matisyahu will perform four shows in Brooklyn from Dec. 27-30. The Music Hall of Williamsburg this Hanukkah will be warmed by the Menorah's glow, as Matisyahu plans to bring his annual Festival of Lights concert series to the Brooklyn venue from Dec. 27-30. The Crown Height native has been a fixture of the global reggae scene since 2004, which saw the release of his debut album "Shake Off the Dust...Arise" and a subsequent performance with Trey Anastasio at Bonnaroo 2005. 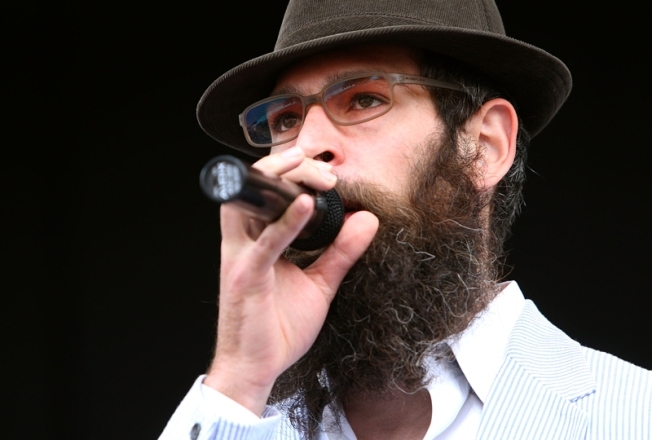 Up until 2007, Matisyahu, born Matthew Paul Miller, was a member of the Chabad-Lubavitch community of Crown Heights, but has since opened up to other sects of Judaism so as not to limit himself to one particular set of beliefs. While on tour in 2007, he told the Miami New Times, "I went to a Hasidic school for two years in Brooklyn. At this point, I don't necessarily identify with it any more. I'm really religious, but the more I'm learning about other types of Jews, I don't want to exclude myself. I felt boxed in." After years of living nearby, Williamsburg is no strange town for the singer, who told the Brooklyn Paper that every time he's in town, he rides his bike "from Crown Heights to pray there every morning." And it seems the Northside/Southside disagreements that have been brewing over the last couple of years -- particularly the Kent Avenue bike lane -- have no effect on his sprawling fan base. As he told the Brooklyn Paper, it's cool "because the hipsters are starting to penetrate into the Southside, so it’s kind of a cool flip to have it go the other way." Matisyahu plays the Music Hall of Williamsburg (66 North Sixth St., between Wythe and Kent avenues in Williamsburg) from Dec. 27-30. Tickets are $35 per night.